Ms. Vasanthi Sunkara has been leading ADEM since its inception as the CEO and President and is responsible for the overall business operations. She received an MBA from the University of Louisville in 1996 and a B.S in Accounting from St. Theresa’s College (India) in 1994. 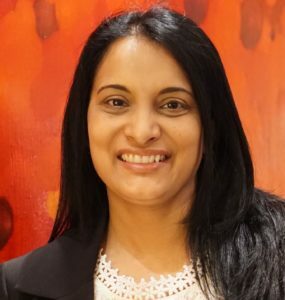 Ms. Sunkara has over 20 years of business analysis and project management experience. She has extensive knowledge of the SBIR funding process and has been involved in presenting the technology to investors and raising equity investments for the company. At ADEM, her current responsibilities include HR management, managing company’s R&D projects and reporting, contracts and strategic partnerships. Ms. Sunkara also sits on the company’s Board as a Director. Dr. Mahendra Sunkara is the Founder and the Chief Technology Officer of Advanced Energy Materials, LLC. He pioneered several technologies for producing nanowire based materials and their use in various catalysts and batteries. Dr. Sunkara received his B. Tech. in Chemical Engineering from Andhra University (India) in 1986, a M.S. in Chemical Engineering from Clarkson University in 1988, and a PhD in 1993 from Case Western Reserve University. He worked at Faraday Technology, Inc. in Dayton, OH, from 1993-1996 as a Project Engineer before joining UofL as an assistant professor in 1996. In 2013, Dr. Sunkara has been named as the Director of the Conn Center for Renewable Engineering Research. He has published over 140 articles in refereed journals, four book chapters, and was awarded over 25 U.S. patents. He co-authored a book entitled “Inorganic Nanowires: Applications, Properties and Characterization” published by CRC Press. He was awarded the Ralph E. Powe Junior Faculty in Engineering award in 1999 and a NSF CAREER award in 1999. In 2002, the Louisville Magazine placed him in the list of top 25 young guns in the city of Louisville. 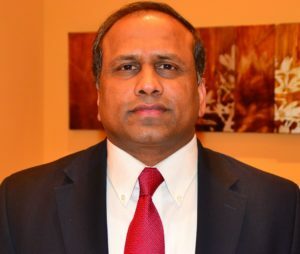 In 2009, he received the UofL President’s distinguished faculty award for research and United Phosphorus CDS Award from the Indian Institute of Chemical Engineers in 2009. He has been named as Fellow of Kentucky Science and Engineering Foundation in 2017. His research work was cited about 7000 times with an h-index of 40. His work resulted in over twenty US patents. Prior to founding ADEM, he founded two other companies, Chemner Batteries, Ltd in India and Indacle Software, Inc in Dayton, Ohio. Dr. He is currently working on the research and development of advanced hydrodesulfurization catalysts and adsorbent products formulated from ADEM’s nanostructured materials. Dr. He is the Principal Investigator (PI) for the SBIR Phase II projects funded by National Science Foundation and Department of Energy. Current SBIR project work is based on optimization of the catalyst design and desulfurization process, and scalable methods for nanowire materials production for ULSD, HDS, hydroprocessing, CO2 capture, and other applications. Dr. He received her PhD in Chemical Engineering from the University of Cincinnati in 2013 and prior research work is related to toxic gases removal, including evaluation of coal combustion flue gas emission, vapor-phase mercury, and carbon dioxide capture, and sulfur-tolerant low temperature Selective Catalytic Reduction (SCR) catalysts applications. Dr. He is the author/co-author of seven original research papers in the area of adsorption and catalysis. She is the co-inventor of several US patents and applications in pending. As a postdoc at Conn Center for Renewable Energy Research, she collaborated with GE® Appliance to investigate cost-effective high surface area materials for water molecules storage, and the energy efficiency evaluation for the adsorption/desorption cycles using novel adsorbents. The adsorption systems can be safely applied in household appliances design to reduce the energy consumption effectively. 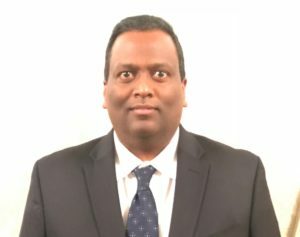 Dr. Vasireddy has over 10 years of experience in heterogeneous/homogeneous catalysis, with an emphasis on catalyst synthesis, characterization and activity evaluation. Currently Dr. Vasireddy is working on research and development of nanowire based hydrotreating catalysts and reactive adsorbents to produce clean fuels ULSD, ULSG and bioethanol cleanup, scale up production of catalysts and catalyst formulations. He is instrumental in developing the solid acid catalysts and bimetallic catalysts for bio-based platform chemicals and fuel additives. Previously, as a research engineer at Jantra-SF LLC, he developed hierarchical zeolites and mesoporous catalysts for converting syngas via DME/methanol to jet fuel/diesel, and bifunctional catalysts for single step synthesis of DME from coal/biomass derived syngas. As a research associate at the Louisiana State University, he investigated super acid catalysts for converting methane to C2+ hydrocarbons and attrition resistant Fischer-Tropsch catalysts for slurry reactors. His experience includes working on chemical valorization of CO2 to produce dialkyl carbonates using organometal and nanometal oxide catalysts at the Universite de Bourgogne, France. Dr. Vasireddy received his BS and MS degrees in Chemistry from Andhra University, India and Ph.D. in Chemistry from Indian Institute of Chemical Technology, Hyderabad, India in 2007. He has published 19 articles in refereed journals and has been awarded 3 US, 5 Indian patents and few US patents in pending. Dr. Nguyen is currently working on design and optimization of bulk production reactors and development of economical, scalable, and dry manufacturing methods for producing metal oxide nanowires in ton scale. He received his PhD in Chemical Engineering from the University of Louisville in 2016 and has extensive experience working on bulk production of metal oxide nanowires, particularly tin oxide, zinc oxide, titanium oxide, and manganese oxide nanowires using atmospheric microwave plasma and flamed based reactors, for applications in lithium ion batteries and catalysis. Previous research work also included gas phase synthesis of alumina nanoparticles and silica nanoparticles. He has authored/co-authored ten articles in peer-reviewed journals and is co-inventor on one US patent application in pending. 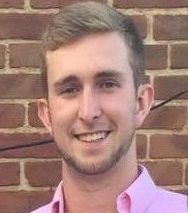 Luke is a native Kentuckian, is currently working on design and assembly of process systems, quality control, as well as logistics and material handling. While earning his B.S. in Mechanical Engineering from the University of Louisville, he worked briefly for United Technologies Aerospace Systems as an Operations Engineer. During his undergraduate career, Luke traveled to Slovenia, Germany, and Costa Rica as part of University of Louisville’s prestigious Brown Fellows Program enrichment projects. Currently finishing his M.Eng., he is working with the team to implement nanowire production and catalyst formulation processes at a commercial scale. Luke is a co-inventor on one of the US patent application in pending. Dr. Kumar currently is working on developing advanced scale-up methods for commercialization of nanostructured materials including nanowires, nanoparticles and mixed metal alloys for catalysis and renewable energy applications. His recent work includes production of metal oxide nanowires using plasma and CVD reactors toward designing and developing high performance nanowire–based metal oxide chemical catalysts. He received his PhD degree in Chemical Engineering from the University of Louisville in 2011 and developed a novel microwave high throughput plasma reactor and direct gas phase synthesis methods to produce bulk scale nano materials and their applications toward energy conversion (solar cells) and storage (Li ion battery). He was part of ADEM’s startup team while pursuing his PhD at the University of Louisville. Previously, he was a process engineer at Intel Corporation and worked on CVD film deposition processes on path finding, ramp up and high-volume manufacturing of semiconductor processes for silicon nitride, oxidation, annealing on atmospheric diffusion furnaces and other LPCVD thin film deposition systems. He has authored/co-authored nine articles in peer-reviewed journals and is a co-inventor of three US patents in plasma assisted nanomaterial production towards renewable energy applications.